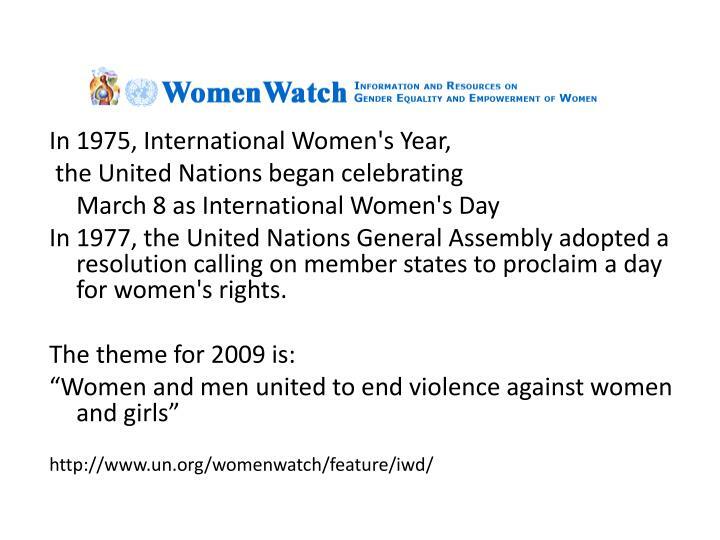 In 1977, the United Nations General Assembly adopted a resolution calling on member states to proclaim a day for women's rights. 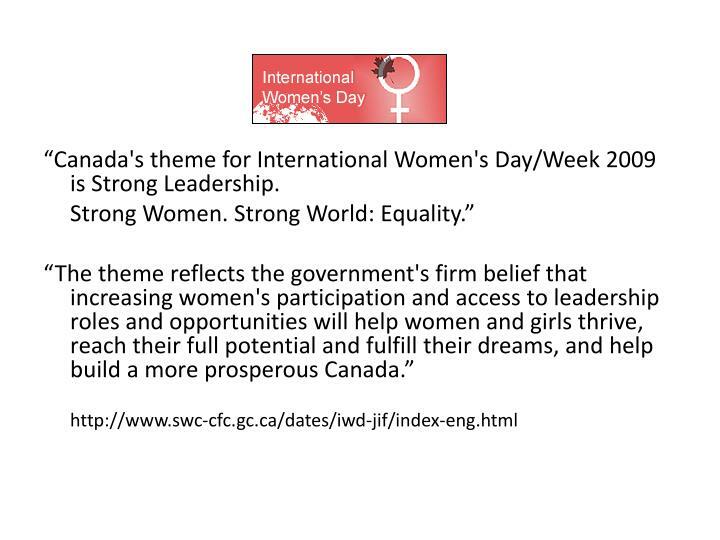 “Canada's theme for International Women's Day/Week 2009 is Strong Leadership. 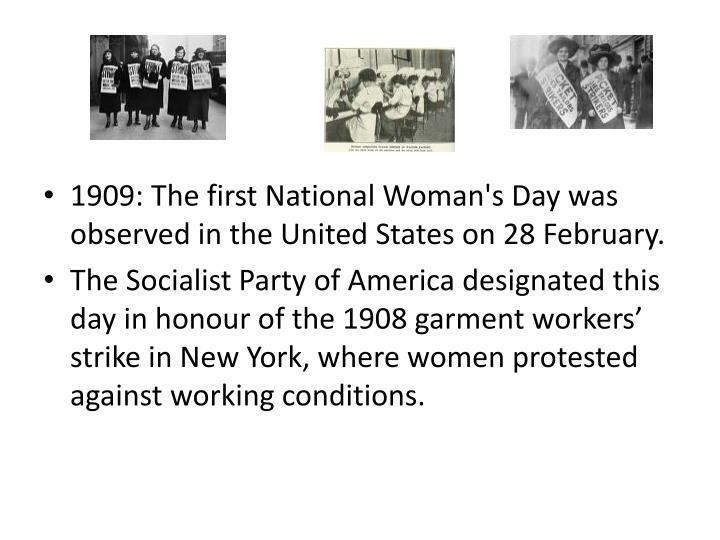 1909: The first National Woman's Day was observed in the United States on 28 February. 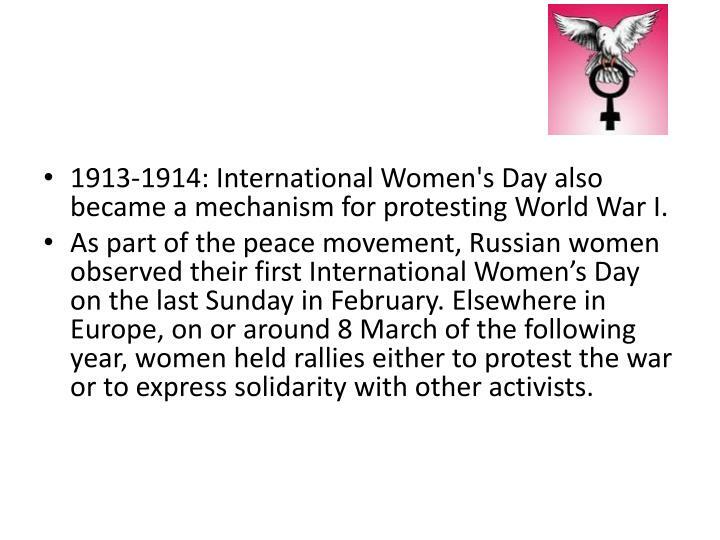 1913-1914: International Women's Day also became a mechanism for protesting World War I. 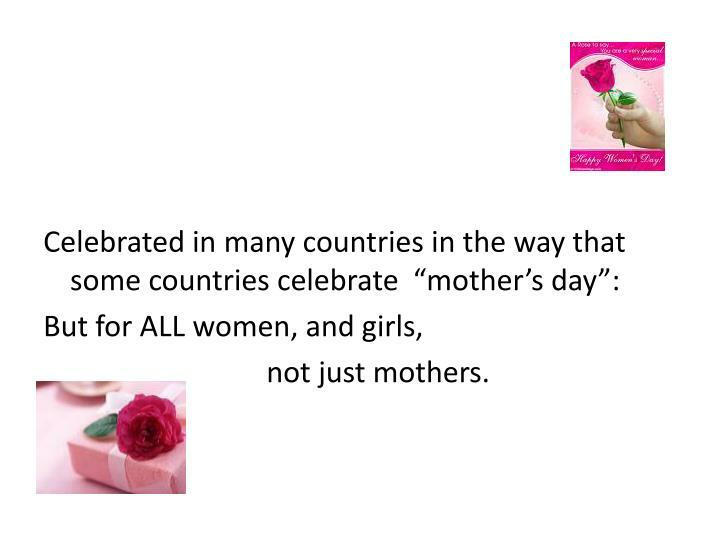 As part of the peace movement, Russian women observed their first International Women’s Day on the last Sunday in February. 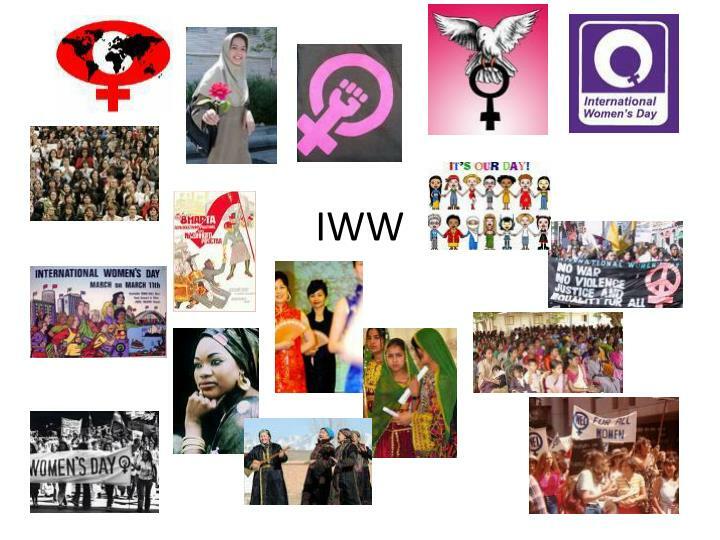 Elsewhere in Europe, on or around 8 March of the following year, women held rallies either to protest the war or to express solidarity with other activists.